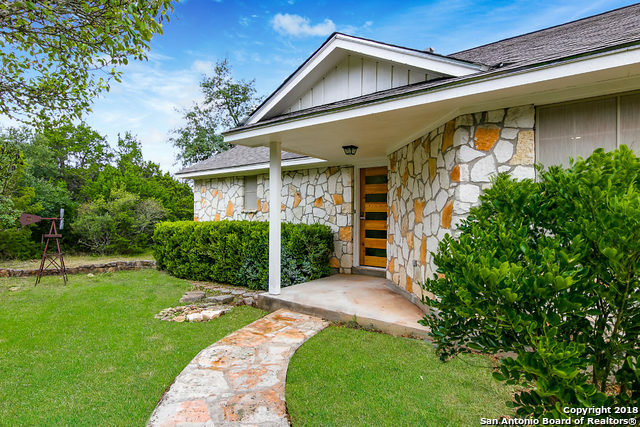 All OAK CLIFF ACRES homes currently listed for sale in Bulverde as of 04/18/2019 are shown below. You can change the search criteria at any time by pressing the 'Change Search' button below. "BIG PRICE REDUCTION! MOTIVATED SELLER! NO HOA! Truly a one-of-a-kind property you can call your own! If you're looking for privacy with a view, this home is for you. This fully remodeled home sits on 3+ acres perched up on the top of the hill! Amazing oak trees. New roof, HVAC, water heater, appliances & so much more! Awesome sunroom really sets the home apart! This home also includes an 800 sq. ft. barn / workshop and a large horse riding arena, so bring your horses. Must see in person to appre"
"Charming Country living on 2.3 beautiful acres with outstanding views from master bedroom! 2 bed 2 bath home - loft can easily be converted to third bedroom. This home features an above ground pool, garden, shed & chicken coop! Property is completely fenced. Basement can be finished out for more living space. This home is approx 2200 sqft including basement! Horses and livestock allowed, NO HOA neighborhood. A great location close to 281, HEB shopping center, serval restaurants and shopping! Enj"